CLUB NIGHT - Fiesta CUBA ! 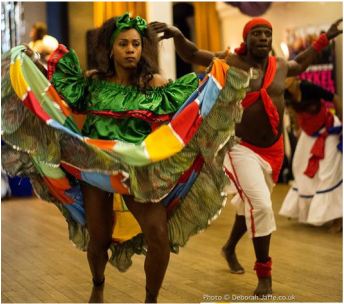 The Afro-Cuban dances comprises dances with Yoruba Influences , know as Orishas/Orichas o Santeria, Dahomeian influences, know as Arara and the ones with Bantu influences know as Palo. Oricha/Orisha dances are religious manifestations of The Regla de Ocha (also known as Regla Lucumí/LuKumí) and are traditionally performed with Batá drums. Arara dances steps used by the slaves while going to work in the coffee plantations and sugar cane fields. Palo dances involve many pelvic and torso movements. Palo, Makuta and Yuka came from the region of Congo west Africa Bantu religion. Traditional and popular Cuban dances or ‘Bailes/Danzas de Salón’ are mostly linked to traditional celebrations. Some of these have now disappeared. At first, they were only danced by the upper and middle classes in Cuban society, but later left the dance halls and reached the larger population. Cuban dance and music styles are many and varied and the result of a long process of contributions by various ethnic groups, such as Iberian, West African, and later Chinese and the Caribbean. ​Throughout history dancing has been rooted in spiritual expression. Since ancient times, body expression has maintained a close link with life and the fulfillment of important social functions, such as communication or interpreting the forces of Nature. 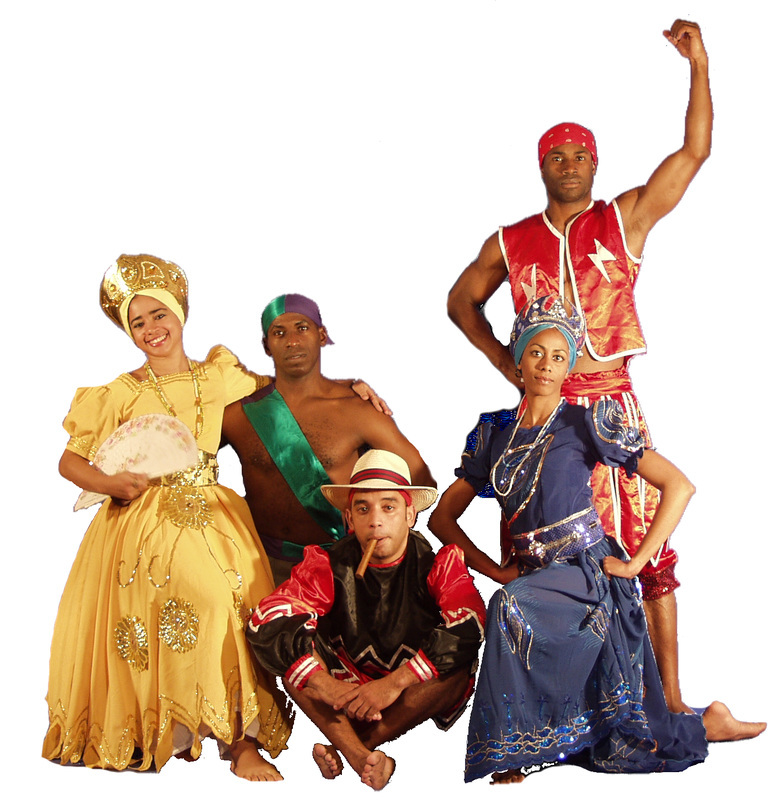 Dance elements of Hispanic tradition and others from various African ethnic groups began to arrive in Cuba in the 16th century. All dance expressions brought by the various ethnic groups underwent a process of adaptation to the new social, economic, political and territorial conditions. Expressions such as the Zapateo, with its variants, and those derived from the Contredanse entered commonly accepted culture in Cuba. Sub-Saharan ethnic groups preserved their religious dances dedicated to their gods, later syncretized with those of Catholicism, and generating dances that were mainly for enjoyment. Towards the end of the 19th century, Rumba and Son emerged and extended throughout the country with many local characteristics. These dance forms are very much alive today.